Establishing and maintaining a running program is always a challenge. Staying consistent, keeping things interesting, and pushing past the wall requires commitment. Adding more miles can be a whole other can of worms. In the spirit of taking your program to the next level, here’s how to safely increase running distance while limiting your risk of injury and exhaustion. Just as keeping a daily journal can help you keep a diet, so to can it help you improve your running program. We recommend setting a weekly mileage goal, then charting the miles you run every week. After you’ve hit your mark a few weeks in a row, review your logs to inform how many miles to add to your weekly total (and when). Whoever you talk to, boredom is the number one excuse for not running. Don’t let the tedium stunt your program! 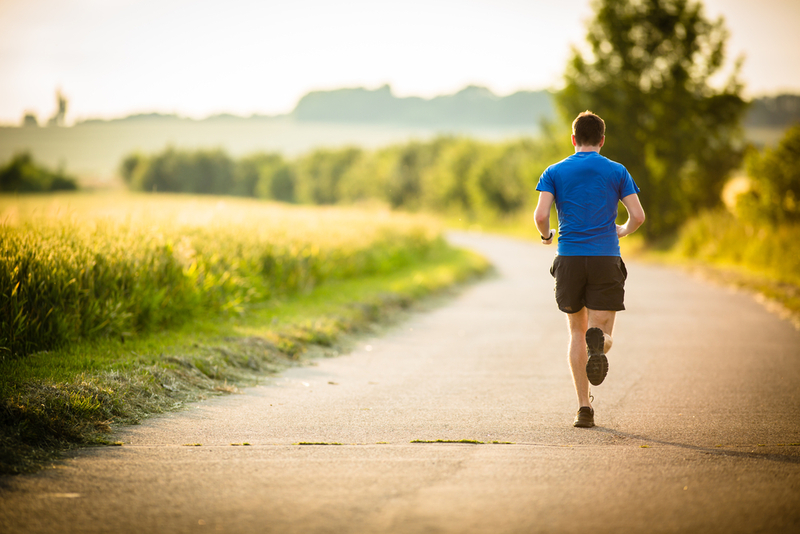 If you love running the same route every day, try reversing it every once in a while. Work in hills, mix up distances throughout the week. Assign one of your days for a “longer” run. To that end, try planning your long run the day before a rest day. Knowing that you’ll have the next day to rest will give you the confidence to push it, both in terms of distance and pace. Speaking of rest days, your off days can be as important to adding distance than your “on” days. Rest days give your body time to recover and adapt. This means not only working rest days into your routine but making the most of that rest time by eating well and staying hydrated. Of all the ways to safely add distance to your running program, listening to your body is one of the most important. This doesn’t mean skipping run days because you don’t feel like it, no. Listening to your body means reading any indicators of overuse, exhaustion, and injury. Because putting your body out of commission won’t do you any good when trying to add miles to your running program. Learn how the Anti-Gravity Treadmill™ can help improve your running.